With a proven eye for aesthetics, Emergency Plumbing & Solar are the go-to bathroom and kitchen remodelers in Honolulu, HI. Your kitchen and bathroom are the hardest-working rooms in the home. When it comes time for an update, we’ll ensure they remain at peak performance. A practical approach to layout and design plus efficient skills ensure our clients are happy with their innovative bathroom and kitchen! We use our bathroom daily – to wash up, relax, and even do laundry on occasion. It’s a useful space in the modern household. Over time, fixtures and pipes become worn down. Their once high-level performance ceases. It’s time for an update. Our remodeling services ensure you have the very best. There are nearly limitless possibilities for your bathroom remodeling in Honolulu, HI! Whether you have a large or small bathroom, there are remodeling solutions available. For example, sometimes a high-efficiency fixture is enough to propel your space into the modern plumbing world. Often, we as homeowners opt for all-new pipes, fixtures, flooring, and walls when performing a renovation. The sky is indeed the limit! The kitchen has become a meeting place for many families. After a long day, we stop at the kitchen sink to wash up, or to refill a water bottle. Besides cooking, the kitchen has a lot of uses. That’s why, when pipes or fixtures begin to age, it shows. 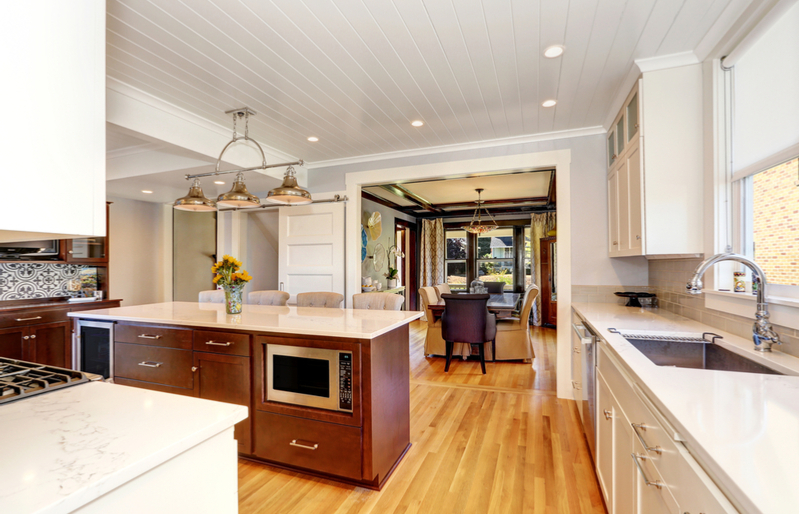 Remodeling efforts will help boost efficiency and reduce waste in the kitchen. From faucets to garbage disposals, everything in your kitchen should function properly. If not, it’s time for a replacement. When it comes to remodeling, the possibilities allowed in the kitchen are endless. Really! You can install a new fixture, replace the pipes, and opt for high-efficiency models throughout! To schedule bathroom and kitchen remodeling in Honolulu, HI, contact Emergency Plumbing & Solar at 808-691-9309. We’re awaiting your call today! Bathroom & Kitchen Remodels Overall rating: 5 out of 5 based on 10 reviews.